One of the most curious things about sorority life, before you've been a part of one, is what it must be like to live in the sorority house. Who gets to live there? Is it hard to live with so many girls in one house? What goes on in the house? We asked some of our members what their experience was like living in the ZTA house to hopefully answer some of those questions for you! Q: What are your favorite things about living in the house? Q: How many roommates did you have? Q: Was living in the house an adjustment from living at home, in a dorm, or in an apartment? Q: What's one memory that comes to mind during your time in the ZTA house? Q: What's an average school day like for you living in the house? A: On the days that I worked, I would get up super early around 6 and leave for 6:30. Our chefs usually don't start breakfast until 7, but Chef Leslie always made sure to give me something to eat to-go because she knew I wouldn’t eat if she didn’t wrap me up something. Chef Leslie was sort of like a mom to me in that aspect because I know my mom would do the same thing for me if I still lived at home! First day of classes calls a picture in front of the house! Q: Did living in the ZTA house affect your role as a member? Q: Would you recommend living in the house to a PNM or new member? The Zeta Tau Alpha house currently houses 54 girls and all bedrooms were renovated just under 3 years ago. 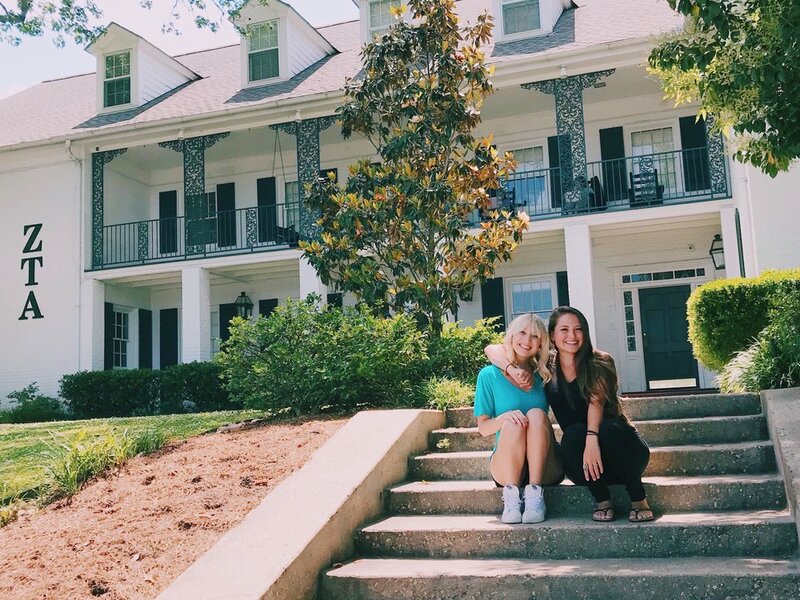 Unlike some sorority houses, girls from all pledge classes live in the ZTA house and some move in as early as their second semester of freshman year based on a points system. There are 17 two-person style bedrooms and 5 four-person style bedrooms with modernized hall bathrooms. If you've ever thought about living in a sorority house but didn't think it is for you or wanted to know more about it, we hoped this post helped!